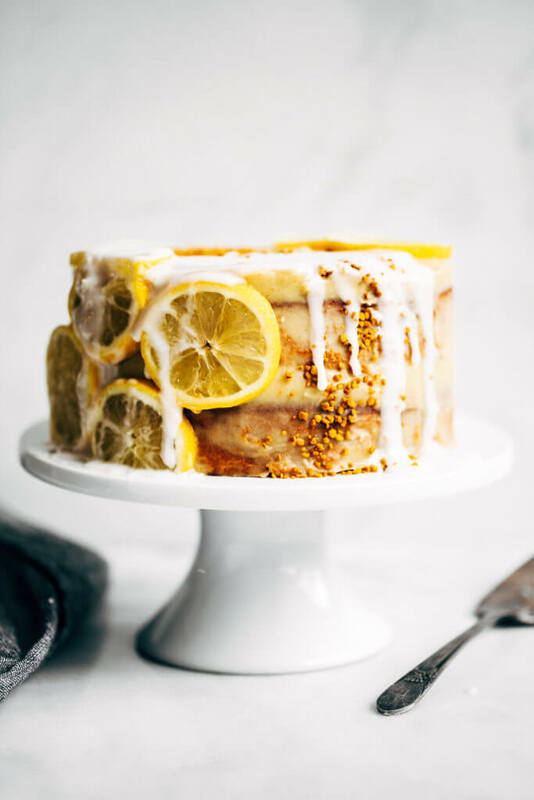 Healthy paleo lemon layer cake with sweet potato frosting. 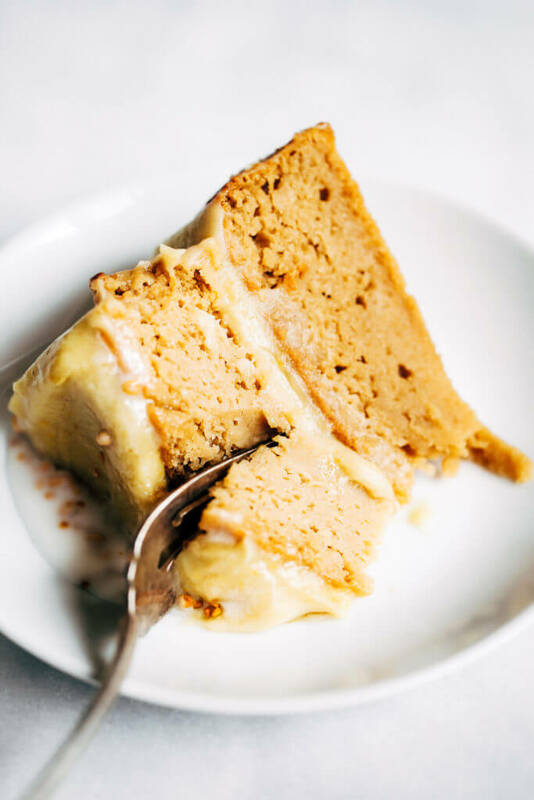 Easy gluten free cake made with sweet potatoes, not flour! 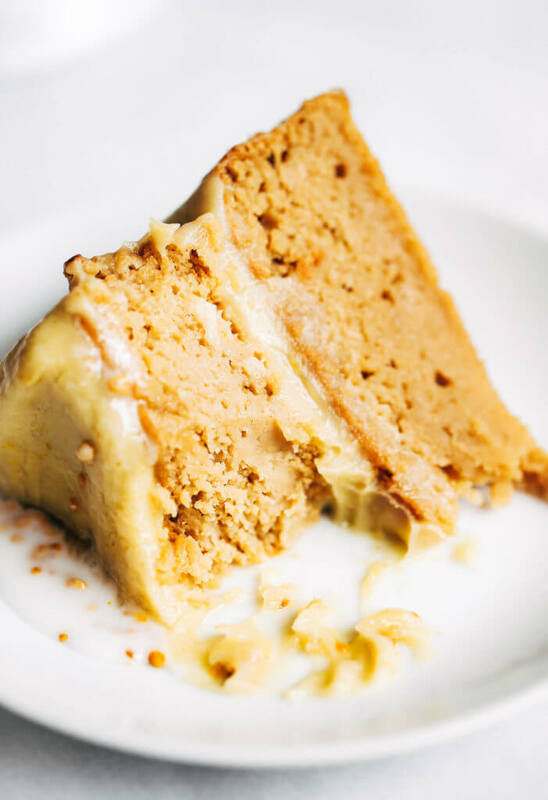 A quick paleo dessert recipe, perfect for summer. 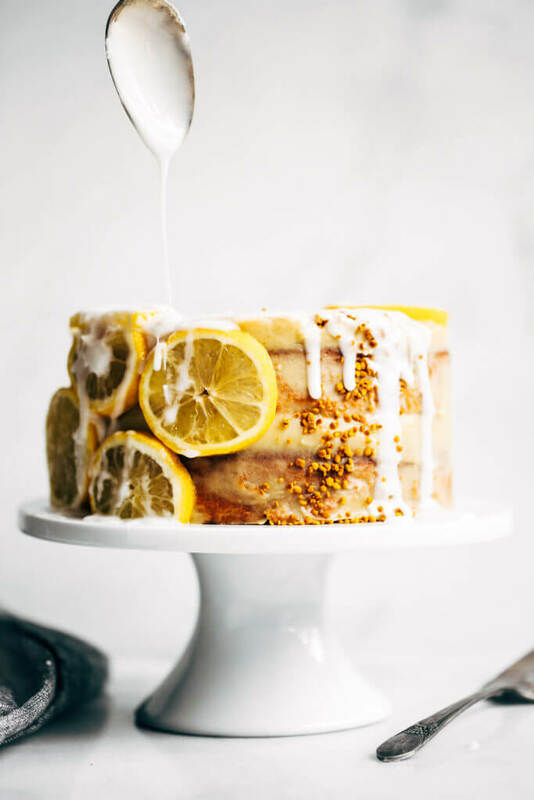 Layers of this lemon cake, plus that ultra-creamy-want-to-dip-my-finger-in-it-frosting. Walks through the blooming aspen trees with heavy clouds of rain above and balmy temperatures keeping me cozy. Is anybody else guilty of this: balancing your laptop on your little mobile treadmill, so you can pack in a work out and get a jumpstart on work in order to make extra room the day for more cake? 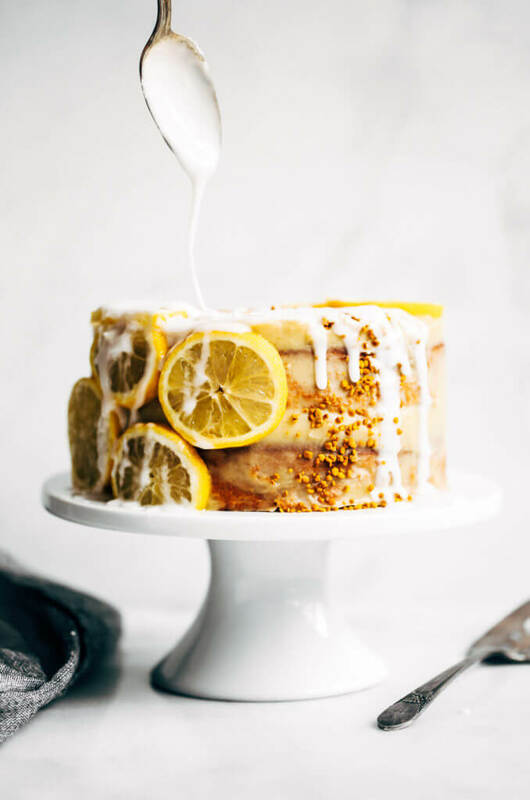 Guilty of pining for cake over here. Last week I tried something that I’ve been wanting to do for what seems like forever. I actually made a flourless cake that was: legit flourless. It was chocolate with another layer of chocolate, with chocolate frosting, more chocolate on top of that, and even more chocolate after that. It was everything dreams are made of. 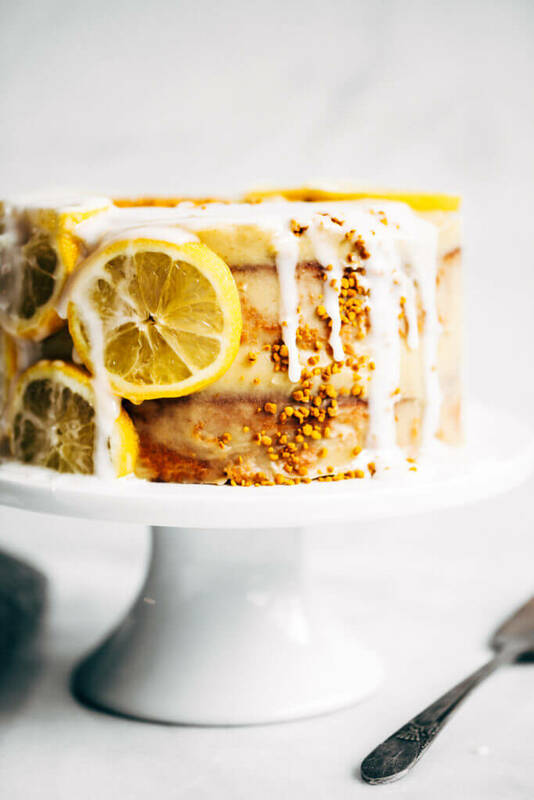 Anyway, since that was a huge success, I wanted to try my hand at a lemon version of this Blackout Healthy Paleo Chocolate Cake. 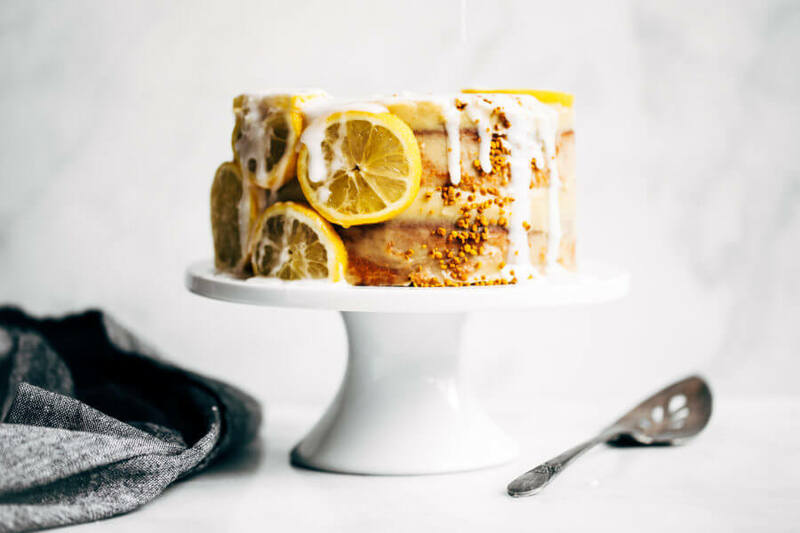 A decadent rich cake made with white sweet potatoes (to keep the colors on point) and frosted with a dreamy lemon coconut frosting, made out of boiled sweet potatoes. My mom teases me about the way I stuff cauliflower, avocado, and sweet potatoes into my desserts. But I can’t help it! 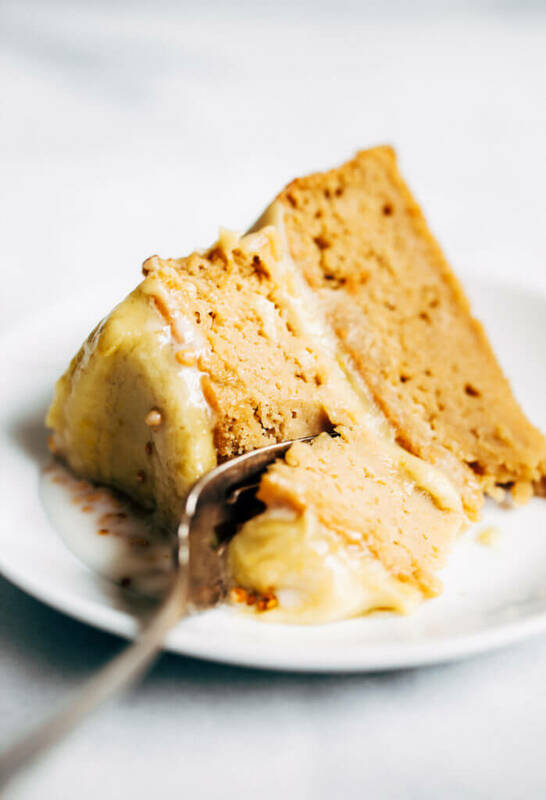 For me, it’s not so much just a health thing, as much as… this is really fun stuffing as many veggies as I can into a cake and disguising the flavor. I think I get a high out of it. Anyway, if stuffing veggies into cake isn’t for you, I won’t hold it against you. But I will say: you’re missing out! 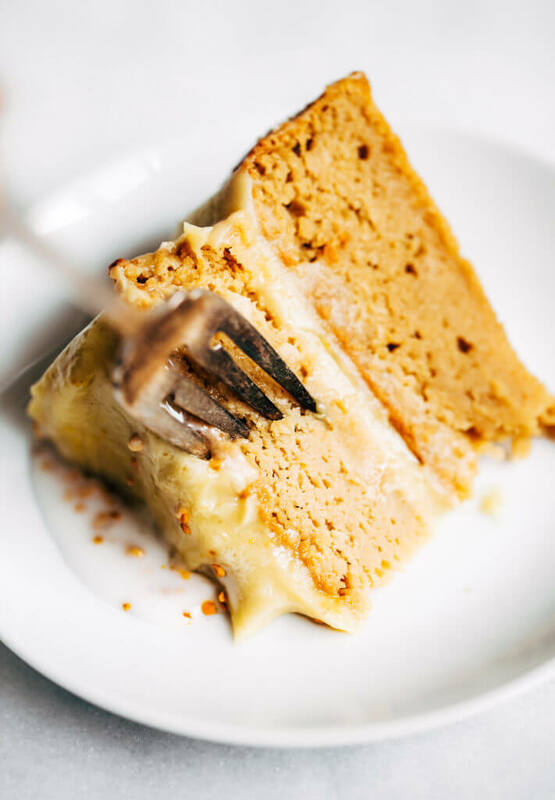 I make cakes loaded with regular flour, regular sugar, and coconut oil frosting, but sometimes a cake packed with sweet potatoes and avocado just makes me smile. 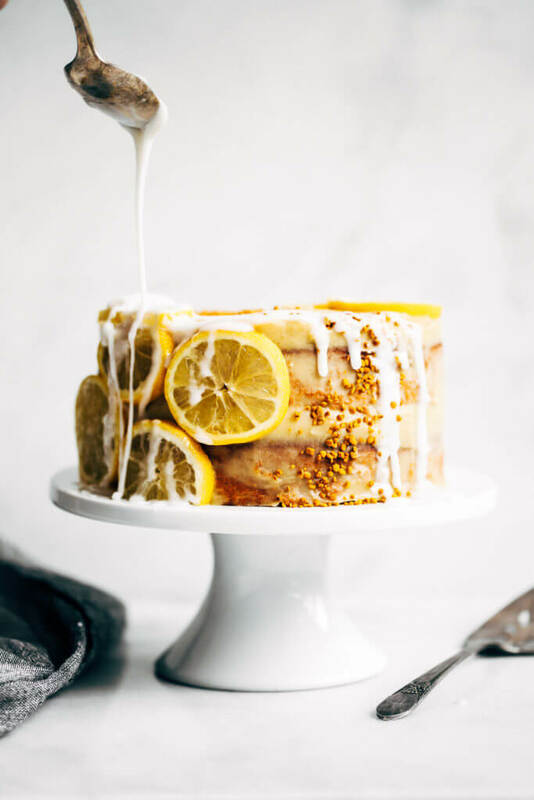 Optional cake toppings: bee pollen, lemon wedges, glaze- either powdered sugar for non-paleo or coconut butter glaze for paleo. Preheat oven to 350F. Line the bottom of two 7" spring form cake pans with rounds of parchment paper. Divide batter in-between the two cake pans. Bake on 350F for about 60 minutes, then chill in freezer while you make frosting. For frosting, steam sweet potato cubes, then drain water, and chill in ice bath until cool. Then blend ingredients for frosting together in food processor until smooth and chill until ready to frost. See recipe notes on how to top off the cake. Store in fridge. Looks soo good! Can’t wait to try it. Would it be possible to substitute the cassava flour for tapioca flour instead? Excited to try this tonight. Do you peel your sweet potatoes? Hi Jessica, I usually don’t, but I have done it both ways. Hi! How long do you steam the sweet potatoes for? And how long roughly do you chill the cake in the freezer before frosting?